Topic: If you are excited, tell somebody! I’ve not met many Grandparents who aren’t anxious to show you pictures of their grandchildren. There will be several Auburn fans this morning very willing to share every replay about their college football team. I understand that there are even guys who love to fish. I hear about some guys who are so excited they will tell you when they are going, take photos along the way and then share every detail about their trip upon their return!! Why do all these things happen? They happen because we all tend to talk about the things and the people that we love! 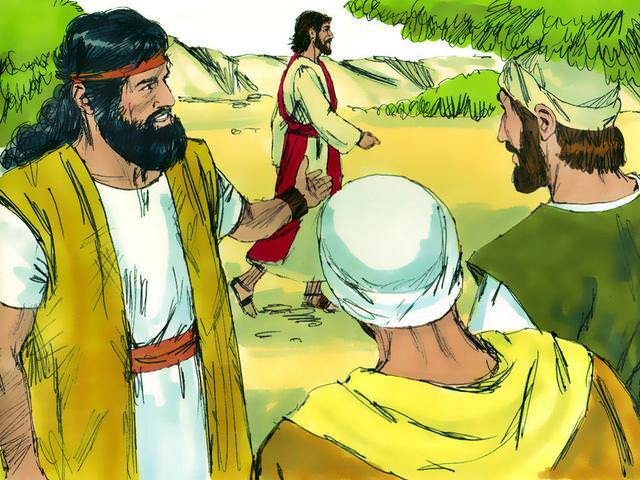 In today’s scripture John the Baptist introduces Andrew and another disciple to Jesus. After meeting Jesus and realizing who He was, the Scripture says that Andrew “found his own brother Simon and told him, we have found the Messiah!” AND HE BROUGHT SIMON TO JESUS! How many fish tales have I told this week? How many people did you share with about football yesterday? Have you mentioned your precious grandchildren to anyone this week? We claim to love the Lord Jesus and if we do we should certainly be excited about our Savior! We should follow Andrew’s example and tell others that “We have found the Messiah!” and who knows? We might even consider inviting them to come to church! If you are excited, tell somebody! Great reminder! thanks for that.